This post is sponsored by Universal Pictures Home Entertainment. All opinions are 100% my own. Dinosaurs rule the world again! Can they live with humans? Own Jurassic World: Fallen Kingdom with Exclusive Bonus Features on Digital NOW!! Or you can enter below to win your own copy from Movies Anywhere! 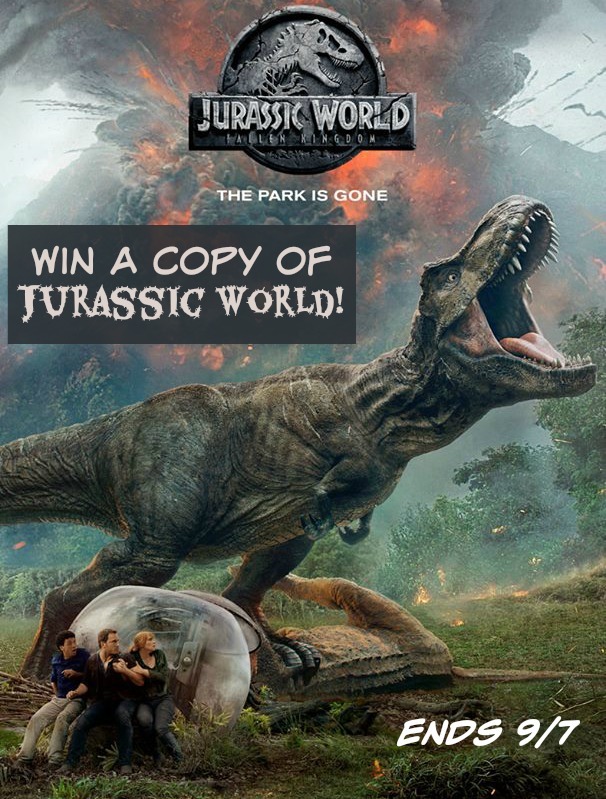 One lucky reader will win their own Digital Copy of Jurassic World: Fallen Kingdom! The giveaway ends 9/7 at 1159p est, so hurry! Be sure to come back tomorrow and Friday to do your daily entries for more chances to win!